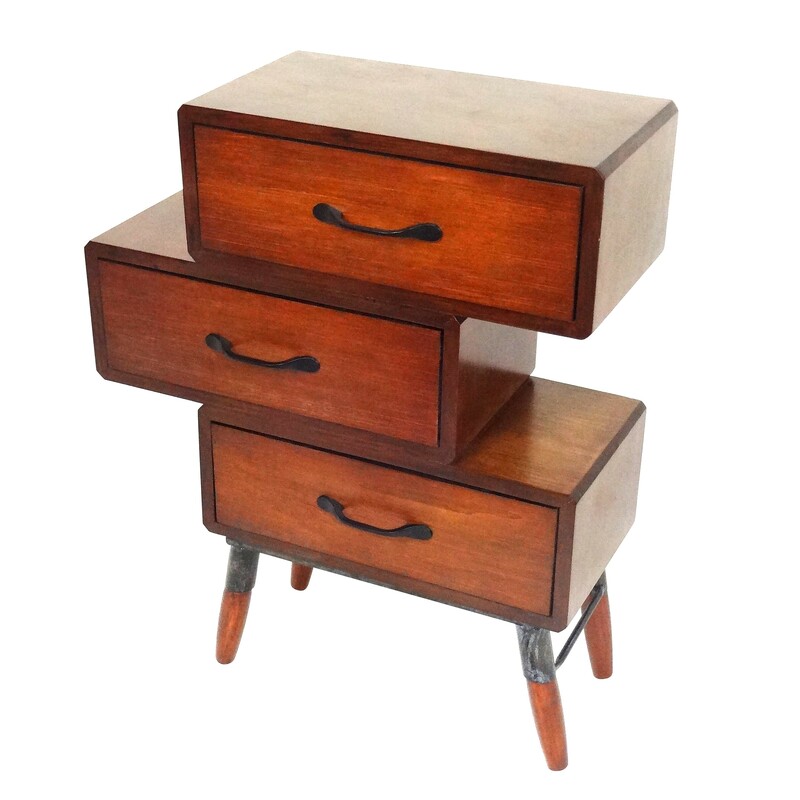 • Size: 20.38" x 8.25" x 24.88"
Add a rustic touch to your living room with this 3-drawer table. Constructed from iron and solid wood, its sturdy construction allows a variety of decor to be placed on top while providing storage space in the form of 3 stacked drawers. Perfect for those looking to add a more traditional touch to their home.